SIC 56 - Russell Boyd: How to Make Powerful Videos! Create - Using your camera in Second life and adding forces to your image. Brent: Hey Guys, Brent here from the SIC show. And today I’ve got a very special episode. I’ve got my special video editor and we’re in Scotland in beautiful Scottish weather. His name is Russell Boyd and he’s an excellent video editor. He’s been cutting all the SIC shows for the last year and a bit. And he’s been working with me for about 3 years. Brent: How are you doing Russell? Russell: I’m doing great. This is just how I love Scotland. And if you come to our country this is what you’ll get. Brent: So with the special episode Russell can you share something with us? Russell: Yeah sure. Well, what lead to talk to? I go into the whole video line of animation editing business. I used to play games. I used to fly World War II fleet some. I was always been in my 30’s. I thought it was cool to have a cool nickname which I know is a bit childish in your 50’s. And unfortunately you can’t change it because most of my followers and normally its Joe90. 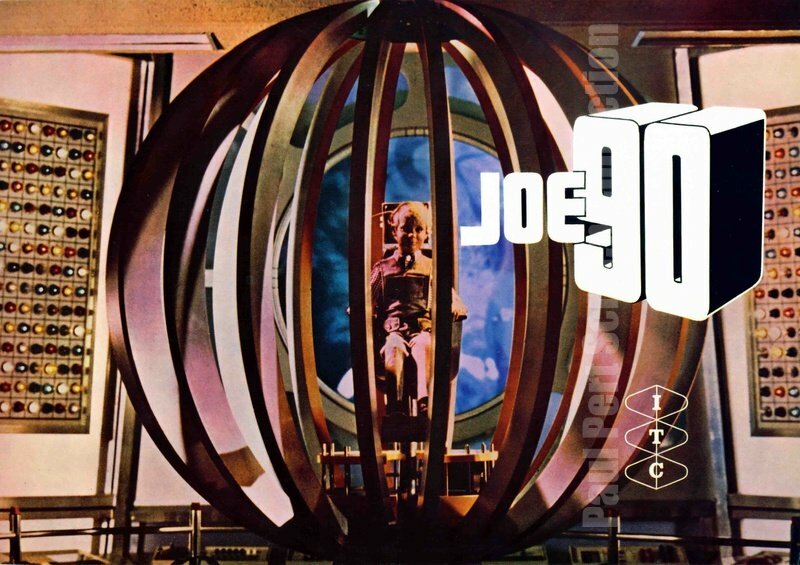 Brent: Joe90, so what does Joe90 mean? Russell: Joe90 for those who may remember it’s the old Thunderbird series, Gerry Anderson animation. He was a small 12 year old boy puppet who had a pair of special glasses. And I thought it was cool. But everyone calls me Joe90. And it doesn’t quite fit for a 50 year old man. Brent: Maybe when you turn 90 it’ll suit you. Russell: I never thought of that. Brent: Awesome, so Joe90 is a guy who put on a glasses and he would assume someone else’s power, right? Russell: Yeah, it’s like every boy’s dream when you’re young you can get special powers and you’ll be a secret agent or fly planes or be a rocket scientist just by putting on special pair of glasses. 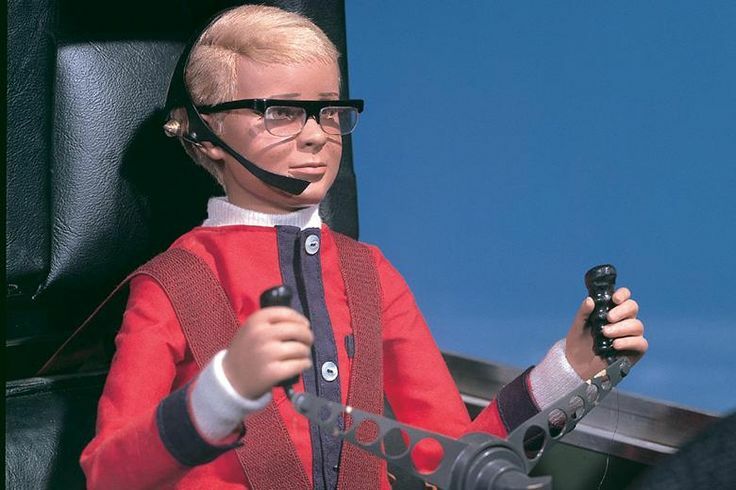 And I used specs at school so I thought I was Joe90 at school as well. Brent: Awesome, well thank you for that share Russell and actually before we jump to the Inspire a little bit. Maybe can talk a little bit about where we are and the significance of the background? 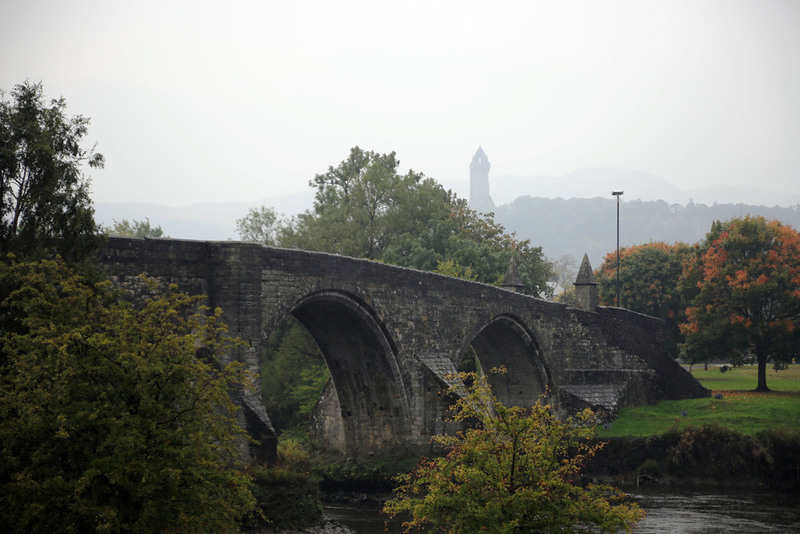 Russell: Sure, if you can just a bit see in the distance that is the Wallace Monument; William Wallace, one of our National Heroes and he fought and beat the English right behind those at the Battle of Stirling Bridge. This is the original bridge where by the 15th century. The bridge was here, he used tactics coz he have done a great army. He might’ve used to trap the English in this area and the bogs and the lands and is called the battle of Stirling Bridge. So you’ve got both the Wallace Monument up in the hill overlooking the battlefield. Brent: So if anyone has watched Braveheart, this is where they mooned the British right? They killed up in the front and the back. Russell: Yeah and the front too. And one guy got the arrow right in here cause he just having it a bit too long. Brent: So this is where it happen Guys where the battle of the Stirling Bridge happened. William Wallace defeated the English surprisingly enough. I think they’re way out numbered right? Russell: Yeah outnumbered and outclassed them. They were just common men, they’re noble man, and they were just the peasants of Scotland rebelling against the nobles. And the nobles of Scotland didn’t even support them. And not until later when Robert Bruce came to support William Wallace. That was the people's rebellion in Scotland by William Wallace. Brent: Awesome, and just so you know, we actually watched Braveheart the night before we came and checked out all these monuments and things. So man I’m loving this Scottish weather. Russell: We watched it along with Johny for break. And there were cries of snoring but we watched that. Brent: Jet lag, what can we do? Brent: Alright, so Russell, Inspire us with a couple of your amazing creations. Russell: Okay, but one of the video animator was making films from games and it was from World War II fleet. So this picture I’ll bring up and show you just now are Air Force fighters from 92 Squadron was flying in the desert of North Africa. And hopefully you’ll see in this picture you’ll get complete control of the lighting and the camera angle. And whatever you want to do and put the object you’re filming. In this case are spit fighters, you can fly them through the sky and by aligning that with the scripts of the game. You can get almost any picture want and done to your creativity and how you want to line it up and line up the lighting. I mean lots of folks do take up pictures of games but it differs between just taking pictures of something in a game and get the camera angles, the lighting within the game. I think that’s where the skill comes in and anybody who wants to get hard in down to animation business has to let them think that skill to get the lighting right and not just have to take a first snap. See you can all take the snap and take a picture but if you position things right then you get the quality. So hopefully you’ll see in this picture how amazing to get the lighting right over the set of fighters. And also set the day to dusk so the whole desert is covered with, sorry for the wind. Brent: I was hoping that the camera doesn’t blow over. Russell: So you get the atmosphere of the dusk in the morning and hopefully you won’t even see it as a game with such a beautiful picture. Brent: So it’s very similar to photography obviously. You’ve got to conceal the light; you’ve got to conceal the composition of how you’re positioning the fighter jets, the spit fighters, and look at the background. I mean it’s basically if you can create great images through these animated games, you can become a great photographer too. It’s the same thing really. Russell: Well, we ask like the old the question like “What do you have to be first to be a good video maker?” ”Do you have to be a good photographer or good at cutting?” I think you need both skills unless you understand the rules of composition you’ll never be a good videographer. So for me it was tough at first before I get into videography. So definitely they’re both hand in hand. Brent: And that’s why I’ve chosen Russell to cut all our videos because he knows all these stuffs. And he’s excellent at it so as you Guys have probably seen in all the SIC shows and all the other videos also the video lessons, photography lessons that we got. I mean how many videos have you cut for me Russell? Russell: Include all the courses when you’re shooting and landscape courses, all them, and those are hundreds now. The great is fun once out like say on location then multiple cameras set up and pulling altogether the soundtracks. And just when you see that almost been a hard time on location and it’s a long time setting things up. It’s like a little challenge and the great challenge is putting all that into just a few minutes with fast cut, fast action and making the lesson makes sense that way. Russell: Yeah, I’ll give you one quick example of a spiel broken that I was making in Jaws. They spent days trying to get the sharks in and they took that all back to the editor. And the editor “That shark looks like a rubber plastic model.” And he was telling them to keep the sharks in as much but the more you see a shark the worse. The editor said “Stephen that’s good. I can’t cut and you’ll going to get one second at the last shark”. And that was great. If you’ve seen the film that cut was great. If you’ve seen the whole shark and its beauty, it would’ve been “ha ha ha that stupid film”. Brent: It was amazing yeah. Russell: Yeah, also has come to things that you, Brent as a director and the editor say “Nah, it’s got to go. Brent: Yeah, that’s similar to landscape photography or even portrait photography. Sometimes you’ve got to move around and actually take things out of the image. You know like instead of including things, you’ve got to take things out to make it a stronger image. Brent: So you’re perfect. Alright Russell, Inspire us with another one of your amazing images. Russell: Okay, so when I realized that I was getting and flying in Fleet some and start shooting and I’ve got to what I called Second Life because I met up with a producer from New York and she works for a studio called Perky Media. And she explained “Well actually you could make money with these animations.” So I start shooting a lot and it’s completely a different way of shooting planes and shooting people but as 3D models of people. And this image I made for a Science fiction series called the Time Travelers. And part of the adventure they went up the space and trying to rescue solar panels. And of course you couldn’t make that film if you’re just amateurs. But you can go anywhere you want. And that’s the virtual world Second Life. There’s almost one at least places that you can go and shoot. So we found these satellites up in Second Life and then all I had to do was chrome a key in and a picture of the air background. And then we could fly spaceships. 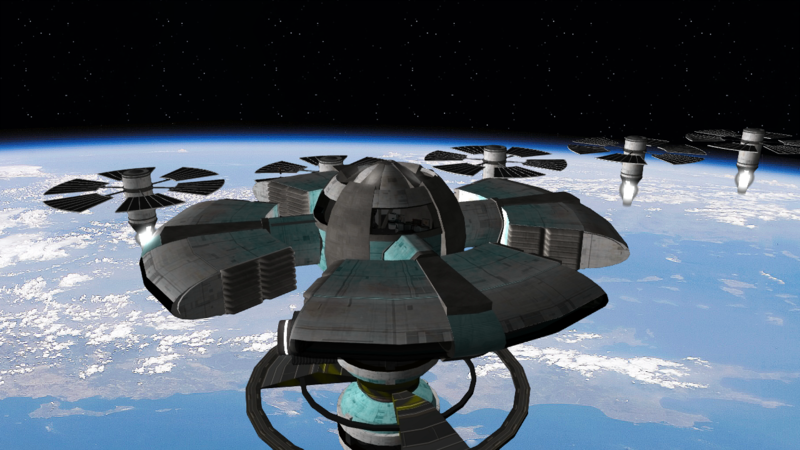 And this image is just a static picture but you can imagine all these solar panels are rotating as well. The spaceships are flying through it too. And hopefully you’ll see in the image just what you can do. It’s limitless. If you’ve got an idea to do something like the Second Life and do anything you want then. Brent: Awesome, we’ll have to see others or you’ll actually come out with this mic with all this wind. And Guys I love Second Life. I was actually watching Russell create another video, a commercial video, an advert for a pharmaceutical company. And he was controlling 3 characters on 2 screens with 2 keyboards and assuming at the same time on this computer; different angles and you know putting in the audio. The people are actually talking. It’s fascinating, Second World. And if you haven’t been to Second World, the way Russell explained it to me is people build things in a virtual world. And you can actually go in there and actually scroll to the things that they’ve built. I saw one with a head, the Golden Gate Bridge. Someone built the Golden Gate Bridge in a virtual world. And you can actually go to the Golden Gate Bridge and explore it and film around it. It’s just amazing. Russell: Yeah sure and I’ll come to that next in the Create section. I’ll explain just how you can actually go ahead and do some. Some set up in there too. But I mean check it and it’s free to use, the Second Life. It’s got an advantage of 3D programs and all of the assets are there. You don’t have to create. Think of anything and some of them are made up. Brent: Alright Russell, so show us how you create all these great stuffs in Second Life. Russell: Okay, so I want to take you in this structure world and explain how I actually used a camera in Second life. Not only hold to you the camera and all the usual you know the F-stop, shutter speed, depth the field. You also have full control of the lighting and what kind of day you want, the atmosphere. Double create the forces and that one. You don’t have to wait for the light or weather. So I’m going to show you an example of doing that and one of them is the starting areas of Second Life. So you see, if you understand photography, you’ll make the best pictures in Second Life. Brent: Awesome, well, thank you for that Russell. Russell: Hi, so here I am covering to a much drier climate of the virtual world of what is called Second Life. I’m going to show you how I use this world to capture some stunning images. And also I make animations in this world as well. First let me introduce myself. This is my avatar called Russell. You can make yourself look like anything you want. I made myself a little bit younger, thinner and handsomer. But as you can see in this road are amazing locations created by enthusiasts and role playing gamers. You may have guessed but this location I’ve a got a recreation of Paris. The cover of my shoulder up to here of course you’ll see the Eiffel Tower. It’s been created in here and just behind that are the Champs-Elysées'. And this one has been actually created is if it was the 1900’s so all the objects in here, you see this car over here of the early 20th century. Okay, so anyway, let’s see if I can show you another location and take some pictures. I’ll bring up the menu. And we can jump to a different location. And this place we are going to go to a futuristic world which is called Araxes. So let’s head over here. You can teleport if ever you want to go. This one is quite a bit different. Let me just switch this off and turn around and you’ll see an amazing Sci-Fi starting here and then. And we already have somebody that can talk to us. This is actually another avatar which I’m also controlling from a separate computer. And we’re going to use this one as our model. So let’s first of all look at what we can do with her. I’ll bring up the menu. And I’ll move the camera. As you can see the little magnifying glass let me focus the camera and move it to anything I want to see. Now before you take your picture you can choose the environment you want. And edit the lighting as I mentioned. Let’s have a look at the sky preset. I’ve got few demos here. And let’s go to demo 2. That’s a bit more aesthetic but this is Sci-Fi and futuristic. Let’s go for a much darker look. Here we that’s better. And we can also adjust the direction of the sun by just moving this light on the east angle. Let’s bring that right on top of our model’s face and get some shadows there too. Okay, so once you’re happy with your environment you can start taking your picture or start filming. But you can also change your camera. Let me just focus on the face of our model. And you can choose right angle or you can zoom like that with the teleportal lens. Let’s bring that up. If you want to get and bring that brilliant soft focus and get it to portal effect. Once you’ve chosen your camera lens you can also play with the depth the field as you with normally. So let’s have a look at preferences. Let’s bring that over to the side a bit. You notice there the depth the field is changing there. It depends what the camera is looking at. And I just clicked on something. We’re in a distance. Let’s bring the camera up back to this avatar who’s called Sugar Inventor. Okay, so as normal you can change your F-stop. Take that right up and closer with that lens. And bring the background into focus if you want or you can take down to a very weight F-stop. Let’s just leave that to F7. You can change your focal length into a view you want. And then we try and bring the camera back with the lens. And the last thing you have to do, you can take your picture or if you are you going to be animating this you can then animate your character. I’ve got little animation loaded up here and let’s just put it out and see what she does. There we go. And that’s a short demonstration of taking videos and pictures in Second Life. Brent: Awesome Guys, that was a great interview with Russell. And I’ve got Johny here next to me from Australia. Russell: Smash it Bro. Here’s my bill, Man. This is my show and enjoy. How did it go Mate? Russell: So I’m sending back the love to Johny for all the love he says to me Mate. I think I have a nickname for you but I can’t say it on here it’s far too rude. Brent: Awesome Guys, that was another great SIC show and thank you Russell for you know having me over. I’ve been staying with Russell. I’ve come all the way to Scotland to come meet Russell in real life. We’ve been working together closed to 3 years. And I had to come and check out all these beautiful places and experience this beautiful Scottish weather. And see the Wallace Monument and just kind of hang with Russell and exchange ideas and that’s awesome. Anything else you want to say to the audience before we sign off? Russell: No, it’s great and just keep involved in the SIC show and I’m watching what you’re doing because it’s great and it’s like I get a free entry to the SIC show because I see all these things and what’s going on. And what I went from this show and other shows that I edit as well. It’s fascinating and great. I would love to get back into photography. In fact I’ve started taken a lot more pictures for the past few years ever since I’ve been doing this and inspired me to take pictures and just enjoy photography. So keep being inspired. Brent: Awesome, well thank you Russell. And I’ll see you Guys next week. Cheers.